The One Bedroom Suite Garden View at Villa del Arco Cabo San Lucas is perfect for those looking for an extra space and lot more privacy. 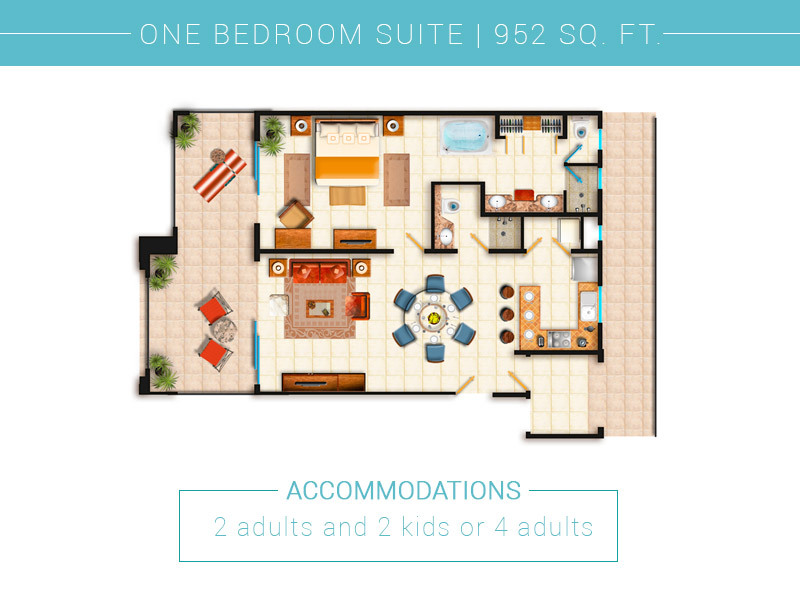 This spacious suite features a master bedroom with a king-size bed and an adjoining bathroom with an indoor jetted tub and separate walk-in shower. The living room has an additional full bathroom and a queen-size Murphy bed for extra travel companions. The fully equipped kitchen, washer/dryer and expansive balcony with the garden view make this suite the total package.